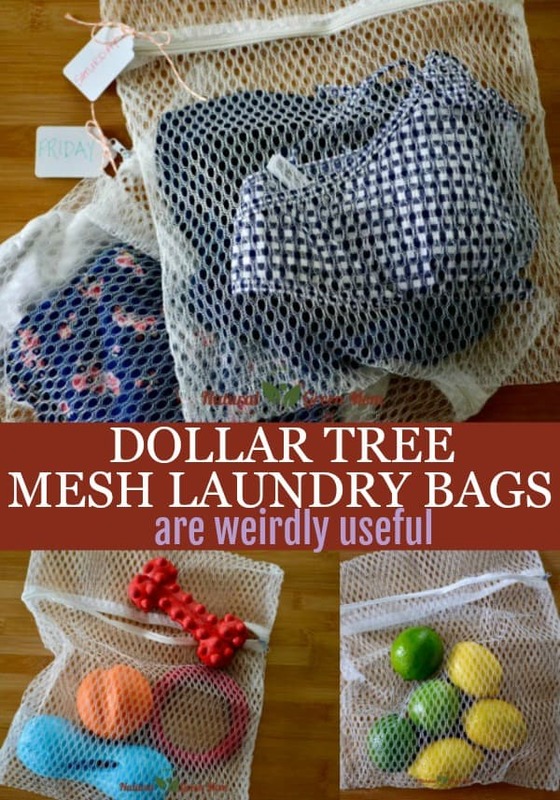 You’re going to want to add Dollar Tree mesh laundry bags to your shopping list this week. As strange as it sounds, I’m addicted to Dollar Tree mesh laundry bags. The bags are priced at $1 for a pack of 3, and I’m finding all kinds of crazy useful ways to use them. Where have these bags been all my life??? 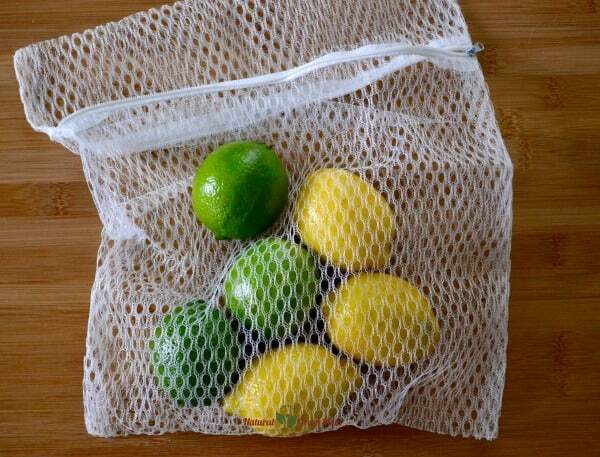 As I pointed out in my 3 Life-Changing Dollar Tree Products video, I have started to use Dollar Tree Mesh Laundry Bags as produce bags. They are inexpensive and hardly weigh a thing. The zipper keeps produce from spilling out. The fact that the bags are washable mean you can keep your food free of bacteria. Cut off the bottom of your greens. Separate leaves and add to mesh bag. Add bag to bowl of clean water and agitate with your hand. Drain the majority of the water off. Then bring the bag outside and spin! I know what you’ve heard about how clean your dog’s mouth is. However, your dog’s toys are a haven for bacterial growth. That slobbery mess of a rubber toy needs to be routinely cleaned since you’ll be touching it. Throw any rubber/plastic toys into a mesh bag and add to the top rack of your dishwasher to clean and disinfect. 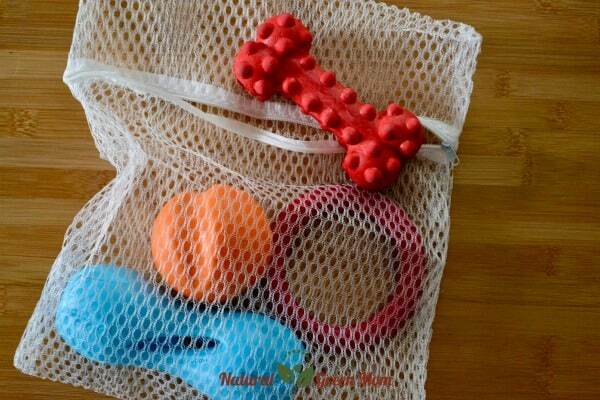 It should go without saying, a mesh bag can also be used to wash your kid’s toys. The next time you are packing up for a trip of any kind, enlist the help of mesh laundry bags to keep you organized. 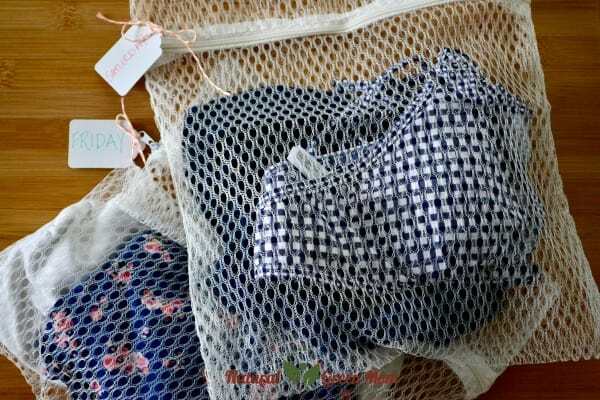 Add a day’s worth of clothing to each mesh laundry bag. Then add a tag with the day of the week you intend to wear it. (Of course you can find tags at Dollar Tree!) Your travel wardrobe will be perfectly organized! Instead of labeling bags with days of the week, you could organize your kiddo’s clothes in mesh bags. Label each bag with a kiddo’s name. This allows them to easily find what they need to wear each day of your vacation. When you get home, simply toss each bag into the wash. Your put away will be so simple!!! Pop a few of these bags into your pool bag. Add wet suits and gear to the bag for the trip home. Leave the suits in the bag and run on the gentle cycle or hand wash. Remove suits and hang to dry. TA-DA! Add a bar of biodegradable soap to a bag. Attach the bag to an exterior faucet. When out gardening, you can wash your hands before heading inside – no need to remove it from the bag! If you have a tendency to go barefoot outside (and I do! ), you can keep your house clean by washing your feet before entering. Actually, even if you wear flip-flops outside, your feet still get filthy. Save your floors and do a quick wash-up outside. This is just the tip of the iceberg when it comes to the usefulness of these bags.